The manager for the Rangers (Jeff Banister) in my roster file has a black skin tone when he should be white. The 3rd base coach is white when he should be black. Is there a way I can edit this? Roster updated to the 2018 season. If you want the updated covers here I leave the link Unzip and paste in the game path. How do I edit the rosters, portraits, faces? Here is the roster built from BSU's roster "foundation" by @pena1 & @headtrip47. This is not a perfect roster by transactions or attributes. This roster is a work in progress. Please do not complain that "So and so is this rating, and this guy plays for this team" But- what this roster does have is a REAL 2017 schedule, REAL PLAYER AGES, NO CRASHES, and other miscellaneous changes to the game. This roster is essentially a good starting foundation moving forward. Freely use this roster, but DO NOT edit this in any other method besides Ty's 2k Editor or REDITOR II (preferably REDITOR), otherwise you risk creating a crashing roster. 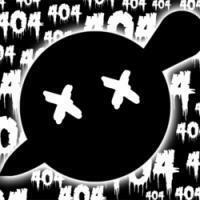 This roster will not crash! Enjoy~ Thank you to everyone involved in the creation of this roster! Please - when asking questions about the roster, (or any file for that matter) do so in comment form. Asking in review form does not allow anyone to respond to your question and results in a bunk review. First of all, If you don't see a player in the roster is because it hasn't being created. It'll be created eventually, have patience. 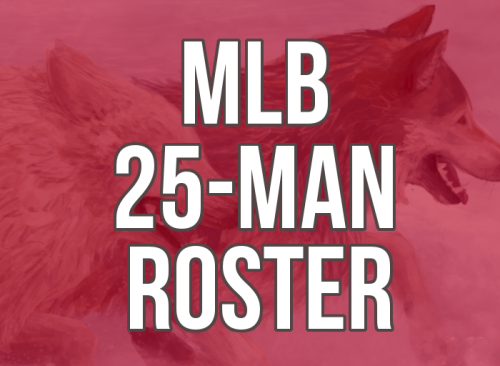 This Roster update is for the MLB active roster with the latest transactions. I will update the all the teams one by one. 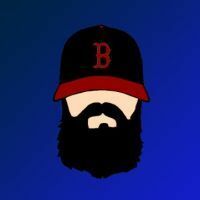 I will update the minor leagues later on, this is only for the MLB active rosters, the players that have gotten sent down will be at their correct minor league team-So will be the free agents. There is a problem with the faces when playing "Quick game", but it shows the real faces when playing franchise mode which is what I really care about. I have already asked for help so if you know how to fix this issue, please let me know. This problem has been about 75% corrected and will be fully corrected in an upcoming update. Coming up: , Minor changes to the minor leagues, major changes to players ID and face ID, major portrait changes, creation of some key players. 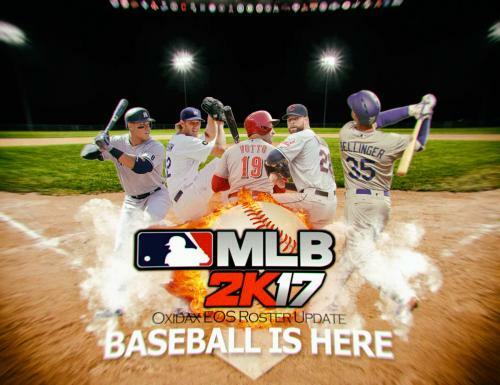 Upcoming long term updates: Re-balance of all SP and CL, re balance of all MLB rookie players, major changes to the minor leagues and creation of players. This roster has now been completed as of 10/1/2017. Ver.1.0.0: New York Mets and Baltimore Orioles Current Active Roster as of 9/10/2017. 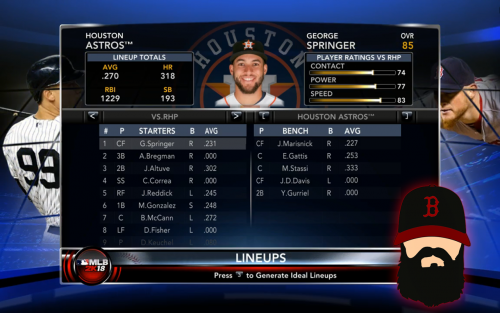 Simulated the whole season in franchise mode w/o a crash. David Wright was put in A Ball because hes neither coming back for a while nor retiring. So what the heck, it is what it is. i have read to forrum and i changed games for a feew to try out mvp baseball and everytime i place a mod roster into the game it locks up so i am curious if i am doing roster mods differeent so if anyone has help it would be appreciated please.. I have downloaded a ROS file for the 2017 season, however I cannot extract the file at all, and I'm at a loss on how to resolve it. It says "Cannot open file as archive." Any help is much appreciated, thanks! Looking forward to playing this game updated, just installed it today. Long time lurker here, usually play MVP, recently started playing 2k12 but I'm having some problems and I'm hoping some kind soul here can help me out. 1 When I'm pitching the strike zone disappears and my xbox 360 controller doesn't vibrate near the edge of the strike zone. It makes it nearly impossible to "paint the corners", so to speak. Is there a way I can activate the vibration on my controller or keep the strike zone visible? 2 I've read a lot about the pitch-tendency or "red pitch" problem on some of the rosters, but I can't seem to find a cut-and-dry answer. Is there a new(ish) roster that doesn't have this issue? I'm currently using mapmods 2016 opening day roster and as an Indians fan having this problem on Salazar is killing me. a) Mapmods suggested recreating the problematic players in the roster editor but there doesn't appear to be a way to link or create a players history in the league. Is there a way I can do that, am I missing something? 3 I'm very appreciative of all the work that went in to the 2k15 overhaul mod but the music is not at all my taste. In MVP 05 I made walk-up music and in-menu jukebox music for my own game and it wasn't all that difficult. Can anyone point me in the right direction for doing the same thing in 2k12? Is it much more difficult then it was in MVP 05? Thank you in advance for any help.